Description: These pajamas will melt your heart! 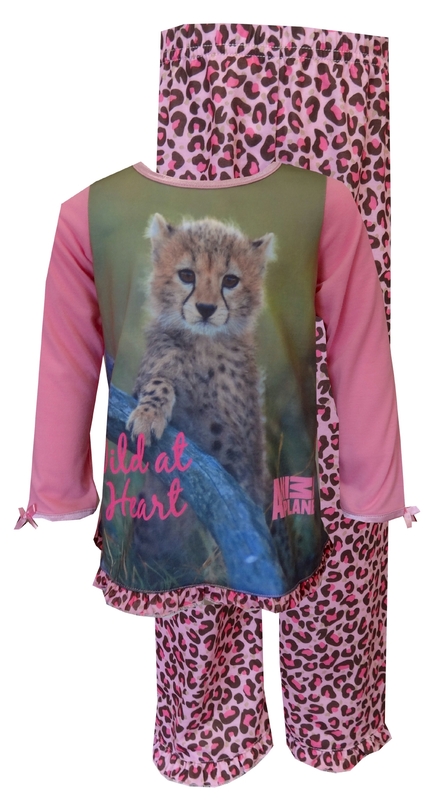 These flame resistant pajamas for girls feature an Animal Planet Cheetah Cub graphic on a camouflage spot, ruffled trim, 2 piece pajama set that reads 'Wild At Heart'. Machine washable and easy to care for.